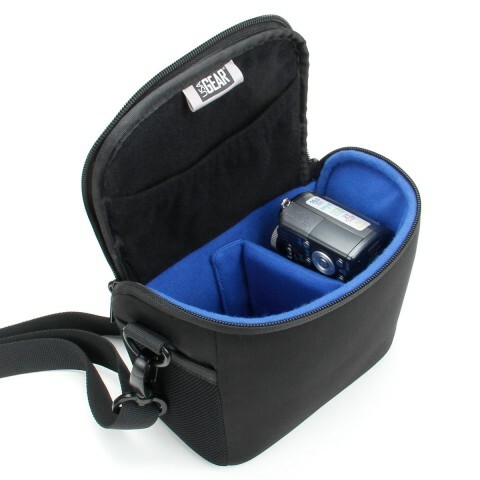 The thick, interior padding encases your digital camera and provides ultimate protection. 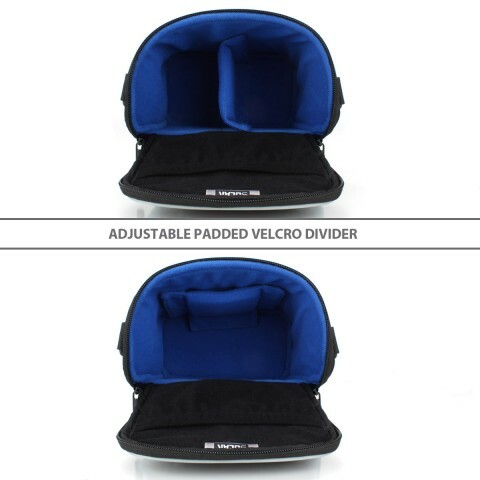 The QIL also features a removable and adjustable Velcro-padded internal divider, great for keeping your camera and lens separate while providing a snug fit for a wide variety of devices. 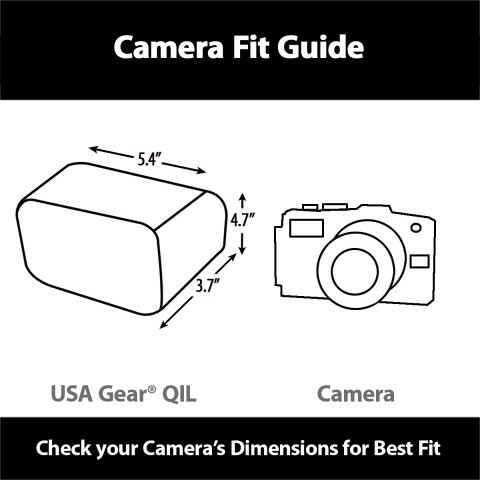 The soft, scratch-resistant lining keeps your camera's finish and lens looking brand new! 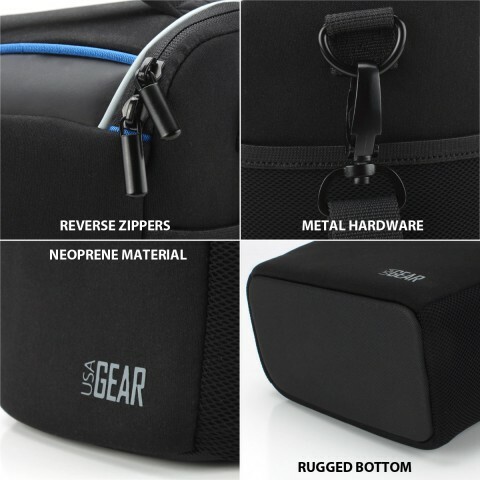 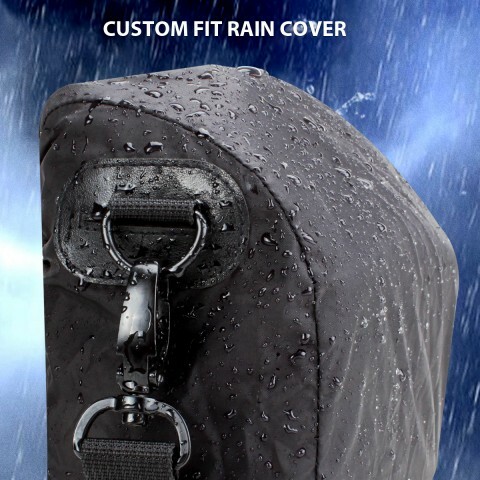 The 2 stretchable netted exterior pockets and internal accessory pocket provide extra storage for accessories such as cables, batteries, SD cards and more! 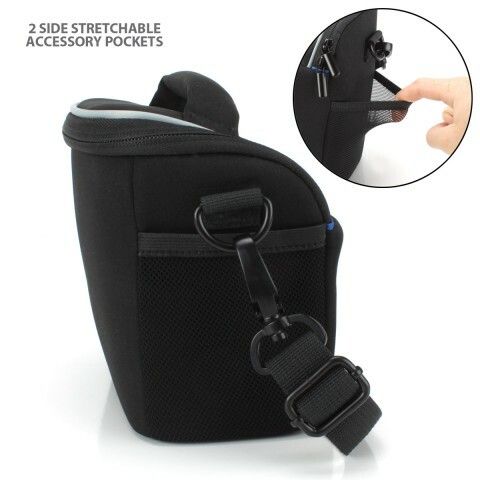 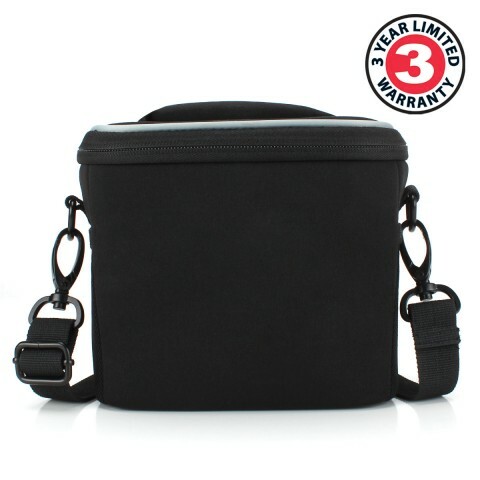 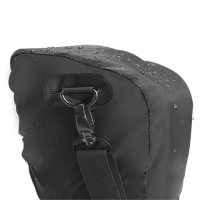 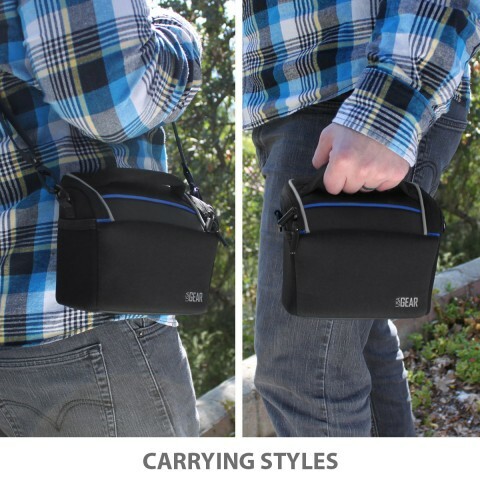 The case features an adjustable shoulder strap, a padded hand strap and belt loop for more carrying options.